6/6/2018: The Forums are up and working PLUS updated to a newer version! Come Check Them Out! LJ10.com has Pertronix electronic ignition kits for your LJ10 and 20's (plus Carry) They are very easy to install. Check them out! 'How To' for the LJ20 Reeds, a great write up on how to repair, and rebuild them. We had new pistons custom manufactured by Wiseco for your LJ10 or LJ20 Order Now! They come in Standard, 0.5mm over and 1.0 over, and include rings and wrist pins. 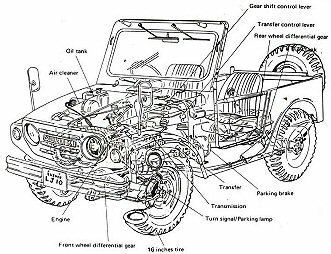 In-depth articles with pictures on how to rebuild your engine, transmission, wheel cylinders, flasher replacement, CV Joints, carburetors, transfer case, and more. NEW! Putting disc brakes on your LJ! Here is a look at a tow bar for those of you that haven't seen one. A nice little collection of magazine articles that we found about LJ's. Or if you have MS Power Point, here is the file to download. Bill Hutchison, wchutc3@aol.com is rebuilding his LJ20 crank and is taking notes and pictures of how it comes apart etc. If you have Microsoft Power Point download the file. 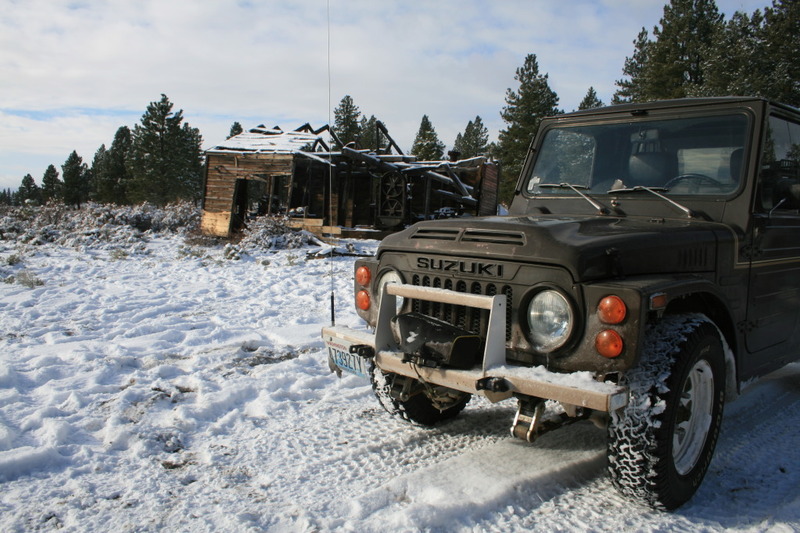 Bill also has a few options on his LJ and is sharing what they are and how they work. The four wheel drive shift pattern stickers that are placed between the seats just behind the transfer gear shifter. Download the MS PPt File. LJ's used by the Japanese Army? Bill Hutchison looks at one that might just be. This is in Microsoft© PPT format, the best way to view it is to click on the "Slide Show" button at the bottom right of the page, then just click your left mouse button or push your "Space Bar" to change the page. You can download it to view if you have Power Point© here.